Home/Mobile Phones/htc Mobiles/HTC One M9 – What Are The Most Essential Apps That You Should Install? 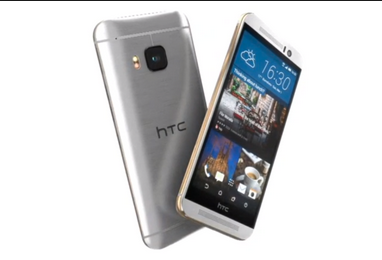 Are you someone who has just acquired the brand new flagship smartphone from HTC, the M9? It is indeed a wonderful phone and it can be predicted that you will be soon indulging in once you make your mind to get yourself a new phone. The HTC One M9 is one helluva handset and once you get time to stop admiring the clarity of the selfies that you take with its awesome snapper, you might look forward to downloading some of the best apps. Here are some app for HTC mobiles. Caustic 3: It is indeed tricky to choose an ultimate feature on HTC One M9 simply because there are so many. With the new HTC model, so full of capabilities, you will see a return of the BoomSound speakers that still stand out. How can you use the superb noise-blasters? Caustic 3 is a sampler app that has a plethora of virtual music machines to select from. You can save and export almost everything that you have created in order to enjoy time and again. Tunein Radio: Are you someone who would prefer enjoying the musical creations of other people to creating your own? When it comes to app for HTC mobiles, TuneIn Radio is one of the best free radio streaming apps and through this app you can delicately niche audio tastes. With the 2840mAh battery of M9, you should get a listening of a full day and if you think that the music is getting a bit too mainstream, you can opt for other channels. FXGuru: Do you sometimes fancy yourself as the next Speilberg? If answered yes, lay aside your M9 and get a camcorder to enrol in a film-making course. However, if you’re happy in super-imposing a CGI effect on top of video shots, the rear camera should be useful for you. Download FXGuru in order to make this superimposition possible. Retrica: From the M8 to the M9, the moving of the ultrapixel camera from the rear end to the front end has been a huge decision which has lead to super quality selfies. With this photo editing app, you can even enhance the quality of the selfies so that you get the utmost satisfaction. So, if you’re eager to know the latest HTC news, make sure you download all the above mentioned apps to make user-experience better.